It's time for our long-awaited first look! Alas it's only a set photo, an official one thankfully, but we're still waiting to see some real footage from this highly anticipated sci-fi film. Our friends at The Film Stage have come across the first photo, international poster and a very short behind-the-scenes featurette for Wally Pfister's Transcendence, starring Johnny Depp and Rebecca Hall. It's not a major reveal, but it is our first official bit of some marketing which hopefully means more is on the way soon. Maybe they'll surprise us with a trailer at Comic-Con? Only time will tell. Until then, this is our initial introduction so take a look. The plot is still being kept under wraps, but leaked details emerged a few months ago indicate the film will follow three scientists - Max (Bettany), and the husband and wife team of Will and Evelyn (Depp and Hall) - as they develop a programming code for the first self-aware computer. But when a group of anti-technology terrorists try to assassinate the husband, his wife helps upload his brain into a prototype supercomputer. 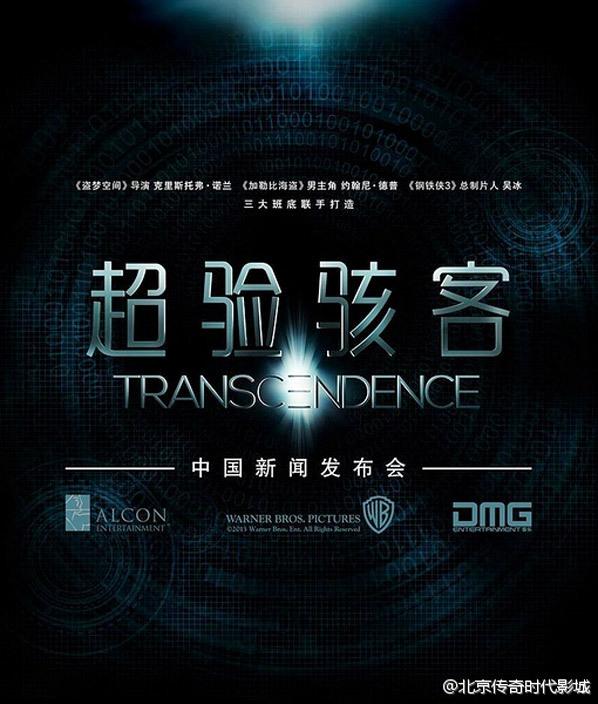 Alcon Entertainment is financing and producing Transcendence. The screenplay was written by Jack Paglen, with rewrites by Alex Paraskevas & Jordan Goldberg. Cinematography Wally Pfister is making his feature directing debut. Warner Bros will be releasing Transcendence in theaters on April 18th next year. DMG? So how far in did he go with China? I'd love to see a film where Depp plays a character who is at least half-way normal. On the city model I saw something about "explosion," which made me happy.